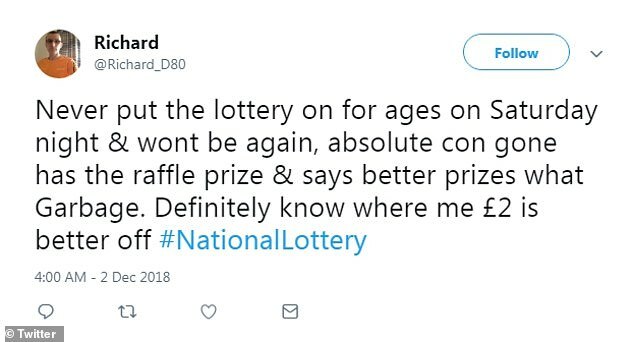 Disgruntled punters have branded the National Lottery an ‘absolute con’ after a sweeping series of rule changes. Among the alterations was the abolition of the Lotto Millionaire Raffle – which gave out a £1million payout twice a week. Rollovers were also changed to mean they can only happen five times in a row before the prize has to be won. Players must now match five balls plus the bonus ball to win the £1million. Matching five balls without the bonus ball will see them win £1,750, while four balls bags £140. 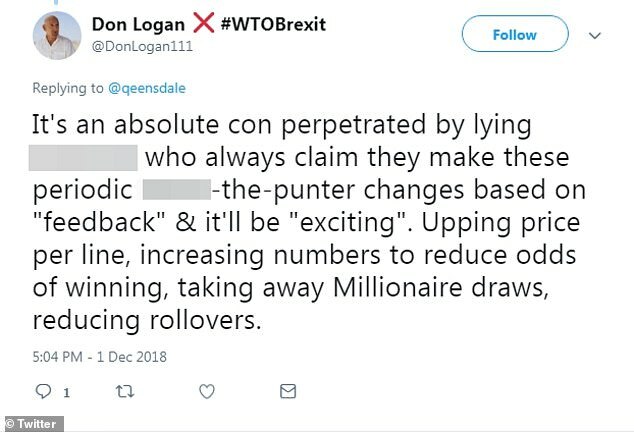 Furious lottery players vented their frustration at the draw’s organisers after the announcement, with some labelling the changes a ‘disgrace’. Another commenter said: ‘It used to be possible to at least win SOMETHING. It has got worse over the years but now it is ridiculous. ‘With a standing order, the payouts never quite kept pace with the costs but in the last 6 months I haven’t won a penny. But a spokesperson for the National Lottery said there were bigger cash prizes on offer. They told the Sun: ‘The recent enhancements made to Lotto mean bigger cash prizes and more Jackpot winners! ‘We’ve listened to feedback from people (players, non-players, retailers) and have, in turn, returned Lotto back to its roots. ‘We want lots of people to play a little, rather than a few playing a lot, it’s our guiding principle. 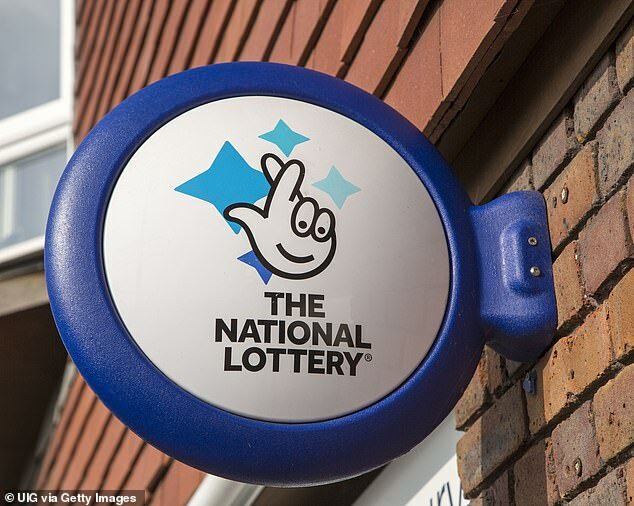 What are the National Lottery rule changes? Changes to Lotto were made in November 2018, bringing in bigger cash prizes and introducing new ‘Must Be Won’ Rolldown draws. The changes will lead to the jackpot being won more frequently and players winning bigger prizes in the lower tiers than under the old format. All non-jackpot cash prize tiers are now fixed amounts. Jackpot Rolldowns see the jackpot prize fund rolled down and shared across all cash prize winning tiers (all tiers except Match 2) in ‘Must Be Won’ draws. But some players believe the changes will make the prizes harder to win and reduce the likelihood of taking home the jackpot even slimmer.